Returning guest Gary Pinkerton joined the podcast again in this Flashback Friday episode to discuss with Jason Hartman an article featuring several economic charts, entitled 27 Charts That Will Change How You Think About the American Economy. Together, the pair covered the data displayed in a handful of the charts that relate to understanding real estate investing and broke down what each result means for the US economy. Among the topics covered, Hartman and Pinkerton discussed the current retirement age, service jobs and the way society views them, manufacturing output versus the manufacturing job sector, and the lack of savings that many Americans have, as well as why this is good news for investors. Hartman opens the episode explaining that over the years he has talked many times about how the next ten years’ worth of demographics, psychographics, and economics are boding well for real estate investors. There is a tsunami of great news for investors developing all the time. He adds that the near future, 3-5 or up to 5-7 years encourage the idea that real estate investors are in a good position. He mentions that there is a lot going on in the US economy, but at the same time there are divides: the economic divide, the wealth divide, and the technological divide. One of these divides has to do with the American savings rate and how recent surveys might indicate issues when it comes to homebuying for some, but an opportunity presents itself for real estate investors. As the Chinese say, crisis is an opportunity riding the dangerous wind. The symbol in the Chinese language for the word “crisis” and the symbol for “opportunity” are actually identical. 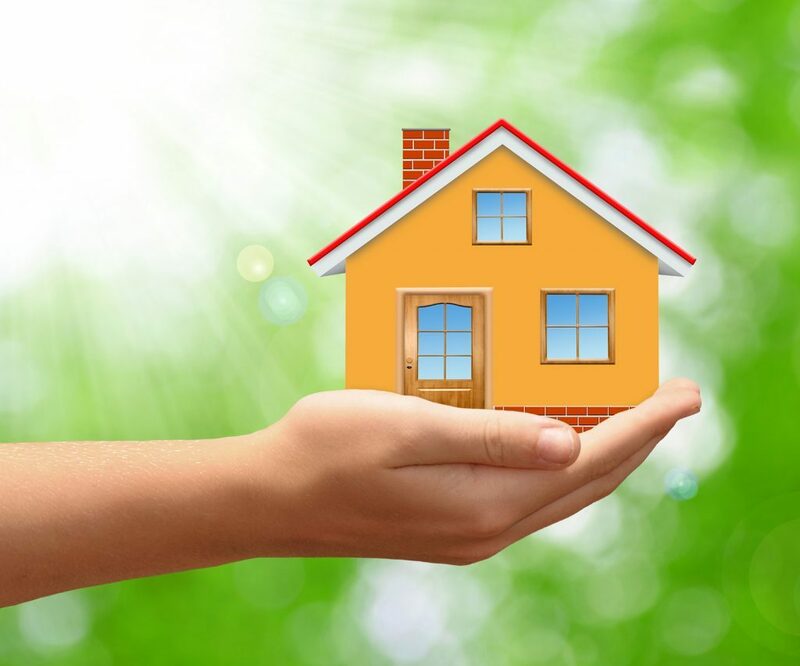 There is somewhat of a crisis when it comes to the savings rate, but by understanding real estate investing and the way it works, this presents a great opportunity for real estate investors to serve the population. Hartman explains that the survey from www.gobankingrates.com states that 62% of Americans have less than $1,000 in their savings accounts. 21% of Americans don’t have a savings account and 28% have $0 in their account, meaning that they have the account but there isn’t any money in it to save. He adds that in contrast 14% of Americans have over $10,000 in savings. 9% of the population has the minimum amount of money needed in their account. Another 13% have less than $1,000 in the bank. 10% of Americans have between $1,000 and $49,999 in savings. 5% have between $5,000 and $9,999. He states that this means that there is a significant number of Americans that are not going to become homeowners in the near future. Because of this, investors stand to provide a need for housing. Hartman mentions that for the past five decades, a good deal of US policies have been left-leaning and Congress has largely been controlled by the left. In many ways, you can argue that this problem relates to these social policies, as they cause an anemic economy. Hartman reminds listeners to check out the newly revised websites and explains that there were some bugs in the first release, but a lot of the issues have been fixed. The site now offers a lot of great products and resources. There is also the option to visit www.hartmaneducation.com. He adds that he is planning for the upcoming Venture Alliance event in Phoenix, Arizona during the first weekend in December, mentioning that the Phoenix airport was rated the friendliest airport in the country. Check out the events page at www.jasonhartman.com. Interested parties can attend the event once as a guest or join the Venture Alliance Mastermind group. Hartman welcomes guest Gary Pinkerton to the show, announcing that Pinkerton sent him a fascinating article the week prior entitled, 27 Charts That Will Change the Way You Think About the American Economy. The pair plan to discuss these charts in depth, but before that, Gary Pinkerton offers a bit of backstory as to how he became interested in real estate investing. Hartman explains that Pinkerton is a recently retired Navy submarine captain, and Pinkerton adds that in 2011, he was leaving command and taking over a position at the Naval Academy. He found that he had a lot more free time afterward and wanted to shift active income into passive income. He mentions that he read Robert Kiyosaki’s books and wanted to follow the model presented therein. Pinkerton states that as a mechanical engineer, what made sense to him was real estate and buildings. He was looking into learning more about it and understanding real estate investing more and more and came across Jason Hartman’s podcast, which he started listening to when the episode numbers were still in the teens. He bought his first property in St. Louis in 2011 and now has eight properties while his wife Susan has six. Pinkerton mentions that the first chart in the article is an eyecatcher and it shows that the US is still manufacturing things. The chart covers manufacturing statistics from 1987 to today and shows that there was a bit of a drop in 2008 and 2009, but it has since come back up and is now higher than what it was initially. A popular perspective among Americans is that no one works in the manufacturing industry anymore, and while that’s somewhat true, the US is still producing a lot of products. Hartman clarifies that if one looks at the manufacturing job sector, it has gone down due to automation, but if you look at the manufacturing output, the statistics are still very strong. He explains that this is the paradox of automation and technology and adds that what this may be leading to is a large segment of people that are permanently unemployed or underemployed. He adds that there might be a need for the government to pay a living wage to these people, which is not as bad as it sounds. All of the technology we have today make goods for much less money. Hartman mentions that inflation is the home run, the best possible scenario. The monetary and fiscal policies are very inflationary, and technology is their opponent. Pinkerton refers to the second chart on the list, which explains how jobs in the service industry are climbing, while those in the manufacturing industry are flat or going down to a small degree. He wonders if this is really a bad thing, stating that manufacturing jobs are not a dream. They’re hard work, and because people don’t live long enough lives, they do not tend to enjoy back-breaking labor. He mentions that people look back on the good old days of factory work and asks if they were really good at all. Hartman states that if you look at the other side of the issue from the side of the consumer, manufacturing jobs represent needs while the service industry represents things that people want. The service industry works with a higher level of lifestyle, like massages and eating at restaurants. Success in service-oriented jobs indicate progress, that life is getting better. He recalls how he was talking with his mother recently about the obesity epidemic, and she mentioned that some of the issue might have to do with the fact that people are eating out a lot more often. When she was young, people didn’t eat out because it was too expensive, and Hartman agrees that when he was a child, the restaurant industry was still small. Pinkerton agrees that the service industry indicates prosperity and elective-type services. He also states that a lot of these services are being used by the retired Baby-boomer generation. The cruise ship industry is booming because people who want to travel at this point are still healthy enough to do so, and they have the finances to allow it. This is an indication of a healthier, wealthier society. He then refers to the twelfth chart on the list involving labor force participation and the fifteenth chart involving teen summer employment. Both of these charts show a drop. The labor force participation drops were related to the crashes in 2000 and 2008. 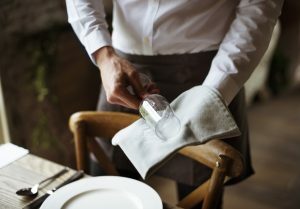 He also mentions that people tend to have an impression of service jobs, thinking that they’re of lower income and that certain people are above performing this kind of work, even though the service industry provides a great benefit. Hartman adds that most people think of the service industry as working at restaurants, jobs that do not pay very well. He considers corporate jobs and how the information worker in offices does not fall under either the manufacturing or service category. That industry makes decent money and workers use their brains more than their brawns. Pinkerton explains that according to the twelfth chart, people have been dropping out of the labor force since 2000, which a bit of a disturbing statistic. He points out that if you follow the labor force drop in the chart, it seems like America is moving toward Europe’s labor force, with more and more people not going to work. Hartman mentions that the labor force ratings are more accurate than unemployment ratings. He refers to when John Williams spoke on the matter and presented the reality behind the numbers on www.shadowstats.com. The labor force participation rating shows who is working and who isn’t, while unemployment can be misleading. Between 1997 and 2000, the US had a rate of 67, and it is now down to less than 63. Last time the rate was this low, it was in the middle of the 1970s during tough economic times. Pinkerton adds that it’s important to take charts with a grain of salt and thoroughly evaluate the scale that the statistics are presented on. Depending on the scale, the curve can appear to be more dramatic than it is. Pinkerton moves on to the eighteenth and nineteenth charts. The eighteenth chart shows that current recovery is in urban areas. The chart breaks growth into four groups of the population and shows that in the early 1990s, most of the growth was in areas with low populations, while 2010-2014 had most of its growth in larger cities. Hartman mentions that an issue with the chart is that some of the cities mentioned have grown over time. If you look at Orange County, California when Hartman first started selling real estate, the population was only 70,000. Also, in areas like this, going from one city to the next has a very thin divide. Some metro areas are isolated to where there is a significant distance between them and the next city. When cities are clumped close together, it’s more difficult to determine their exact statistics. Pinkerton adds that these statistics really speak to the logic behind the work that Hartman does, in the way that he chooses markets that are close to major cities. The chosen markets are far enough away to where the numbers still work, but they’re close enough to commute for a good job. Hartman agrees that there are still plenty of job opportunities without being forced to live in the expensive markets. People can live in a place that offers a good economy, weather, and entertainment, and they can do so inexpensively. He mentions Denver and Austin and clarifies that at this point both are a bit too expensive to recommend. Compared to San Francisco, though, they’re both creative class cities, and they’re not nearly as expensive. Pinkerton refers to the inflation-adjusted housing prices cataloged in the nineteenth chart. Unlike the others, this one goes all the way back to 1890. He explains that if he takes the inflation rate in the chart and goes 1% higher with it, the chart flattens out, and the argument goes away. The chart’s argument is that since WWII, housing prices have climbed consistently, and it calls into question whether the bubble in 2008-09 was significant or not. Hartman explains that he tends to disagree a lot with Robert Shiller, who has written several books and talked extensively about irrational exuberance. Though he does speak about it, he doesn’t really give the whole picture of things. Some of his data is great and some is misleading. He adds that charts like this often assume that each house is the same house. Houses in the 1890s were not as nice as houses built in 2010, he says. He mentions that his grandma’s house in upstate New York had all of the wiring on the outside of the walls, as the house was built before electricity was wired into homes. Another issue is size. The average house built after WWII was 900 sqft while houses today are around 2000 sqft. The charts don’t talk about the density of the house. These smaller houses were sat on larger lots than today, where we may have more size on the inside of the home, but the land around the home is very small. Pinkerton also mentions that we can’t discount the bubble on the inflation-adjusted chart as well. It climbed from the 1970s on, and if you add 1% to that one, it flattens out. Hartman states that a long time ago, he did an episode that played a piece of an interview involving a Fed chair right before Greenspan. The interview was talking about how the Fed started manipulating numbers with substitutions, hedonics, and other methods. It was fascinating to learn about. Pinkerton visits the twentieth chart, which shows that housing prices have grown a lot faster than the cost of construction. He mentions that this might be due to some places having masses around them that cause prices to rise, such as Las Vegas and the endangered turtle population that keeps building from expanding into the desert. Hartman agrees that the constraints of building likely contribute to the price increase. He points out that this chart shows that from 1980 to 2012, during the bubble period, house prices adjusted for fake inflation statistics. They went up dramatically faster than construction costs. The chart doesn’t tell the whole story. Building constraints contribute to high prices. He mentions that his thoughts on the self-driving car seem to point to geography becoming less meaningful than what it has been. While everyone would rather have a home on the beach than inland, the ease of transportation still stands to compress the delta. Pinkerton covers one more chart in the list, the twenty-fourth which shows that the way Americans retire is changing. The chart exhibits a difference between the percentage of Americans covered by retirement plans like 401k and those who are covered by pension systems. He mentions that this chart helps him keep in mind what he’s dedicating the next chapter of his life to. He states that he is trying to keep people from falling victim to retirement issues. Companies have started shifting a lot more of the risks to their employees, as pensions would outsource to insurance companies. At one time, there was security for individuals, but it became expensive to the companies. They found that the government would allow them to shift all of the risk to the individual and in 2015, studies showed that the median family only had about $5,000 saved for retirement. Hartman mentions that working for a longer period of time is not a bad idea and that the concept of retiring at 65 needs reworking. Working is good for people in general and contributes to a longer and healthier life. He states that when the retirement age was set at 65, it was during a time where people did not typically live more than a couple years beyond that point. Now they’re living a couple of decades more. Pinkerton agrees that the US should reevaluate retirement and encourages a lifestyle change around that age to allow more travel. He states that when Baby-boomers were young, they spent the first two decades of their lives learning, then worked for thirty years, and retired. Still, they have the ability to do another couple decade of work, and the balance does not add up. Hartman adds that if someone wants to retire, they should change to freelance or part-time work that allows them to have more schedule freedom but that in general, people should be working an extra ten years by choice because they’d like to be engaged. For more information about Gary Pinkerton, visit his website at www.paradigmlife.net/about/garypinkerton. His ebook is available on the website as well.